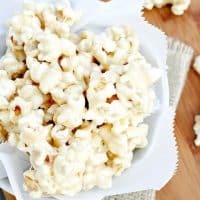 MARSHMALLOW CARAMEL CORN — This marshmallow coated popcorn is the perfect sweet treat for movie night, or just for fun! 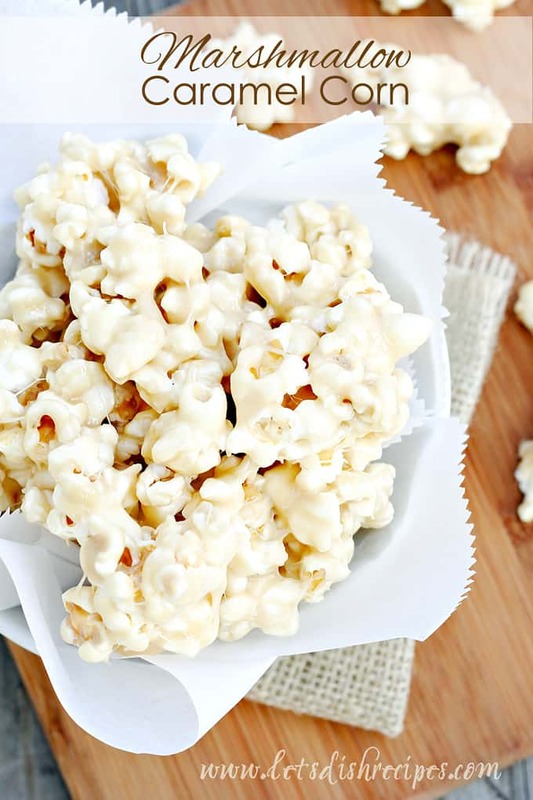 If you need a quick, last-minute treat to munch on while you watch the Oscars, look no further than this Marshmallow Caramel Corn. 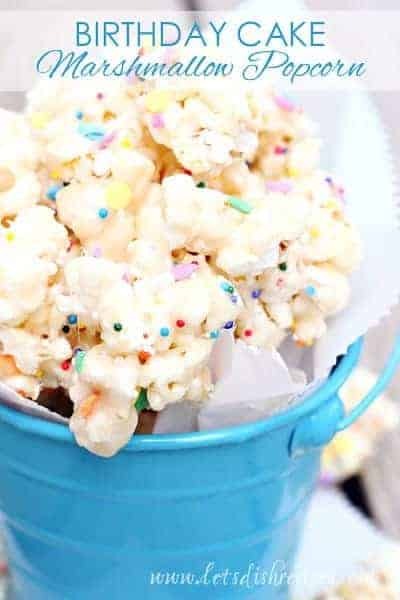 This popcorn is coated in a delicious combination of gooey marshmallow and sweet caramel, and loved by everyone who tries it. Although I should probably offer this disclaimer: don’t let your son with braces near the stuff or you will be making an emergency visit to the orthodontist! I usually don’t have regular popcorn handy, so I use several bags (about 3) of microwave popcorn. Just be sure to remove all the unpopped kernels, or you may be making an emergency visit to the dentist yourself. This is one of those treats you just can’t stop eating. Don’t say I didn’t warn you! 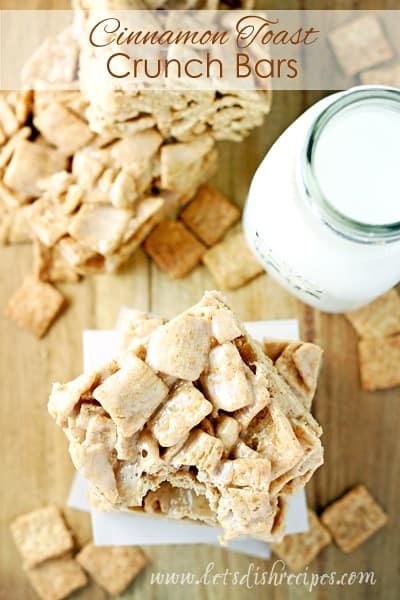 Be sure to save this Marshmallow Caramel Corn recipe to your favorite Pinterest board for later. 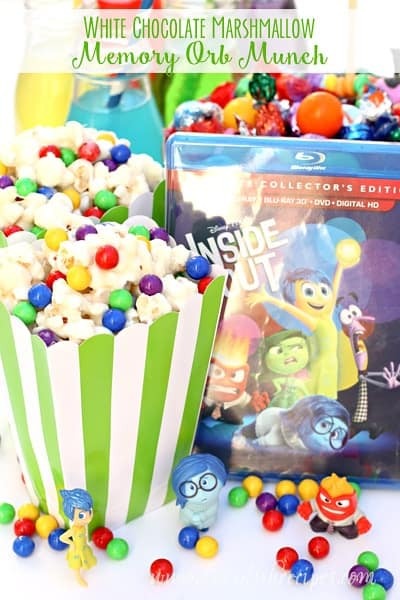 This marshmallow coated popcorn is the perfect sweet treat for movie night, or just for fun! Place popcorn in a large bowl. Line a large rimmed baking sheet with foil and spray with non-stick cooking spray. Add brown sugar and corn syrup and cook and stir for 2-3 minutes, until well blended. Reduce heat to medium low and add the marshmallows. Cook and stir until marshmallows are completely melted. Remove from heat and stir in vanilla. Pour mixture over popcorn and stir to coat. Spread popcorn onto prepared baking sheet to cool completely. Who Dished It Up First: Adapted from Lil’ Luna. Just made this recipe and it is super super yummy!! I can’t wait to try your birthday cake version mext!! Thanks! This tastes great but it never really hardened. Sticky ooey gooey. I thought it was something I could break up and put in a bowl… like popcorn!